I’m embarrassed someone would look themselves in the mirror and say, “What’s really missing in my life is a gold smartphone.” But where there is demand, you can bet someone out there, no matter how ridiculous, will create supply. We already highlighted the droll excess of the $100,000 diamond encrusted iPhone, and now that same company is defacing HTC’s excellent One design. 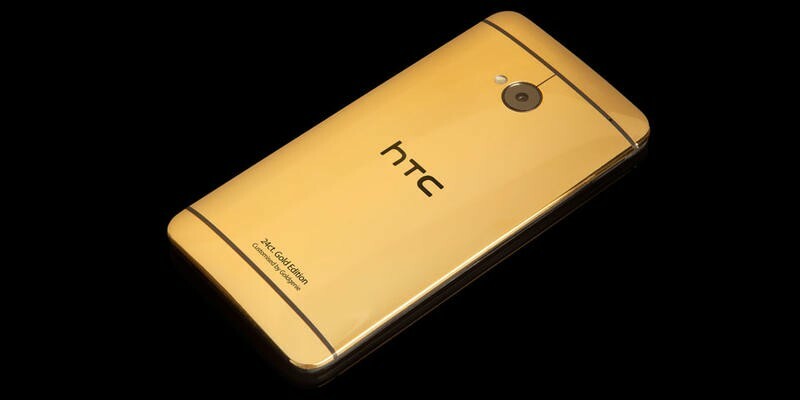 Goldgenie, who takes the precious metal and cakes it onto electronic devices, is doing that very same thing with the HTC One, and then charging thousands of dollars for it. Phones might be fashion accessories in some parts of the world, but the One already looks premium in its own right. There are actually three versions: Gold, Platinum and Rose Gold. Each version, obviously, weighs in at their own price points, and each comes with a “Luxury Cherry Oak Box.” Accessories are included as well, and users can choose between the black or silver versions. At least there are options. It would make for one unique unboxing, sure, but would you even want to carry a device around that was plated in gold? Unless you don’t want to be the target of every thief in your city, I’d imagine the “normal” version of the One is good enough.